A house is only a house until you make it a home. We closed escrow two months ago, are about a week away from finishing renovations but planting this walnut tree in the ground makes this place feel like home to me. About a year ago my son asked my father for his very own walnut tree. My son wanted to have a walnut tree just like his Papa B. After my father past away, my husband found a seedling starting to sprout up in the burn pile. My son took it and planted it in this red ...pot outside my parents house. We watched it grow last summer and make huge leaves. Then over winter it went dormant and we all wondered if it would make it. Last time I was home, the walnut tree was starting to show buds pushing. So my son decided it was time to take it to our new house. We brought the pot to our house and found the perfect spot to plant it in the ground. Modern agriculture could be a scientist in a lab creating the newest impossible non-meat hamburger. Modern agriculture could mean the development of GMO seeds to decrease pesticide use. Modern agriculture could be turning on your irrigation system from an app on your computer. Modern agriculture could just mean the use of GPS in tractors, or maybe just the use of a tractor on a farm. 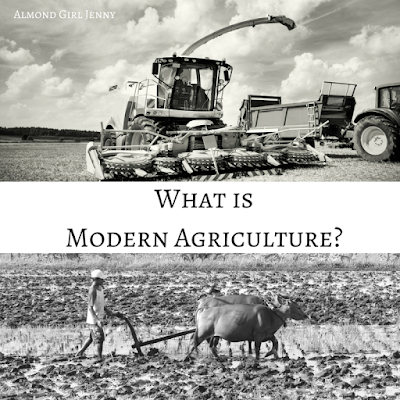 Modern agriculture could mean something different to you depending on how you look at agriculture. Modern agriculture is essentially developing practices that help farmers increase efficiency and reduce the amount of resources to meet the world's needs. But depending on your interpretation of the term you could already have created your opinion of modern agriculture. 2% of the population is involved in agriculture but 100% of the population has opinions. That's the situation we face today, consumers tend to develop their own opinions of modern agriculture without understanding the full definition. "Modern agriculture is necessary, just not necessarily for me" Adrian Percy, the Global head of Research and Development of Bayer Crop Science hit the nail on the head as he opened the Bayer Agvocacy Forum at the end of February. According to recent studies and surveys the average American agrees with this statement. They see the need for modern agriculture, dare I say GMO's even, but they don't think they are for them. You may disagree with farmers spraying pesticides on their farm but you will buy organic because it's "pesticide free". Sorry to burst your bubble, but organic farmers spray pesticides too. Or you may just buy a bottle of weed killer for your back yard but not realize the chemicals you are using or even the ones under your kitchen sink are worse than the chemicals farmers use. Society has to decide what innovation they want to accept, to allow agriculture to succeed. Raw. But true. Innovation isn't evil. Modern agriculture isn't evil. Do you give your child Tylenol when they are sick? Do you take aspirin for a head ache? These medicines are around today because of research and science. Let's understand the mound of research that is done in modern agriculture before we cast judgment on it. Did you know that before a new chemical or product can enter the market place there is 10-12 years worth of research and millions of dollars invested in it? That's a lot of research and a big investment! Now, why do we look down upon science in agriculture but not on the research that is being done in medicine and health? Modern agriculture is what enables farmers to be productive, profitable and efficient. If we still farmed like they did in the 1940's then we wouldn't be the best stewards to our land. Today, we are able to farm on less land and with less inputs than the generations before us. This is due to modern agriculture. Efficiencies in our irrigation systems helped us develop drip irrigation as opposed to flooding our fields. Efficiencies in our inputs help us use less fertilizers, herbicides or nutrients than we used to. Efficiencies help farmers to learn how to farm on tighter spacing, inter plantings or to get more cuttings on a crop than we used to. 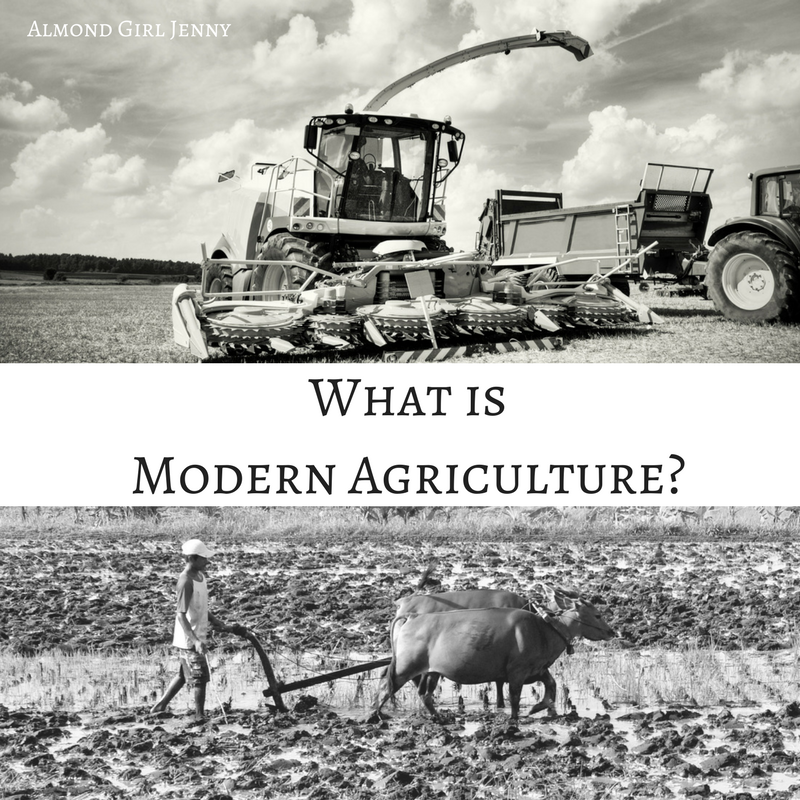 It is because of modern agriculture that we are able to farm today. Give it some thought, maybe modern agriculture isn't all that bad. Disclaimer: The idea behind this post came from attending the Bayer AgVocacy Forum where all my expenses were paid for by Bayer CropScience, but my comments and opinions are all my own! When people think of almond uses they tend to just think of using the almond meat. Almonds have multiple by-products actually. When almonds are processed at the huller the almond meat is separated from the hull and shell. The hulls, shells and hash are also sold and used. Almond hulls are the green out most layer of the almond while on the tree. The hull is what splits and starts the countdown to harvest. Once the almond has dried in the field, the hull also dries and begins to separate from the almond. At the huller, they remove the hulls and stock pile them until sold. Almond hulls are sold for animal feed, most commonly dairy feed. The hulls actually add nutrition to the animals diet and aid in healthy milk production. Growing up on my family's farm, we used the hulls to feed our breeding sheep. It was cheaper than grain, helped to add nutrition to the animal diet and while filled them up faster. Did you know there are over 30 different varieties of almonds grown commercially?! All have their own unique purpose, size, and shape. Most almond farmers, have multiple varieties in the same orchard, the most popular being nonpareil. Nonpareil is the prettiest almond, most widely produced and comes with the biggest return back to the grower. But we can't all farm nonpareils, they need to be pollinated somehow. Almonds typically need at least two varieties in an orchard because the almond flower cannot pollinate itself like other fruit trees can. We learned about that with the almond bloom and bee blog!! So we have pollinator varieties that complement other varieties and offer their own unique purpose. I am going to outline a few of the more widely grown varieties for you, but feel free to check out The Almond Board of California's full guide. 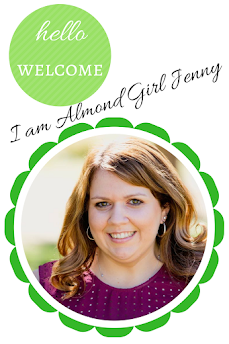 I am Almond Girl Jenny and thanks for stopping by my blog. I am a 4th generation California farmer. 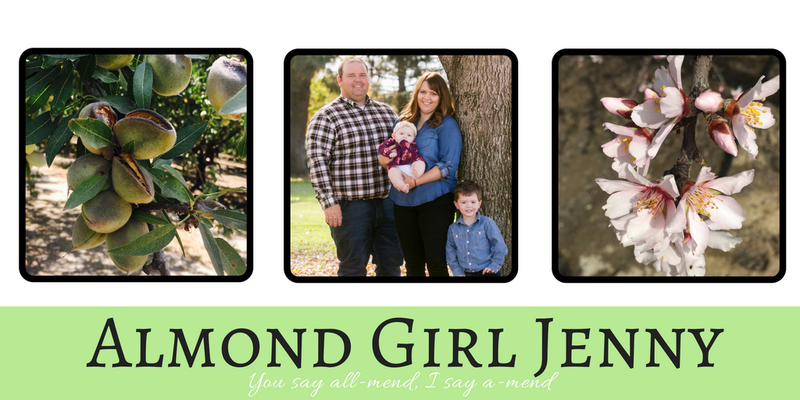 I grew up in Chico Ca, where my father farms almonds and walnuts. I married a 4th generation California farmer from Wasco. Together we farm almonds with his family. Follow along our adventure!